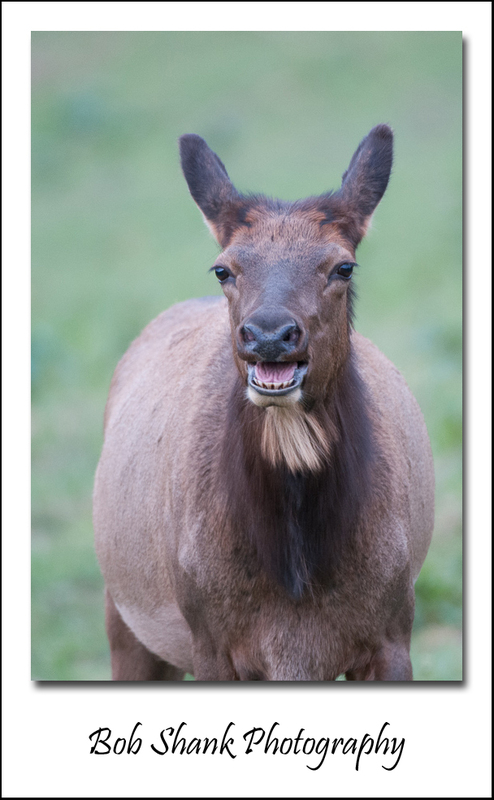 This is a Pennsylvania bull elk. 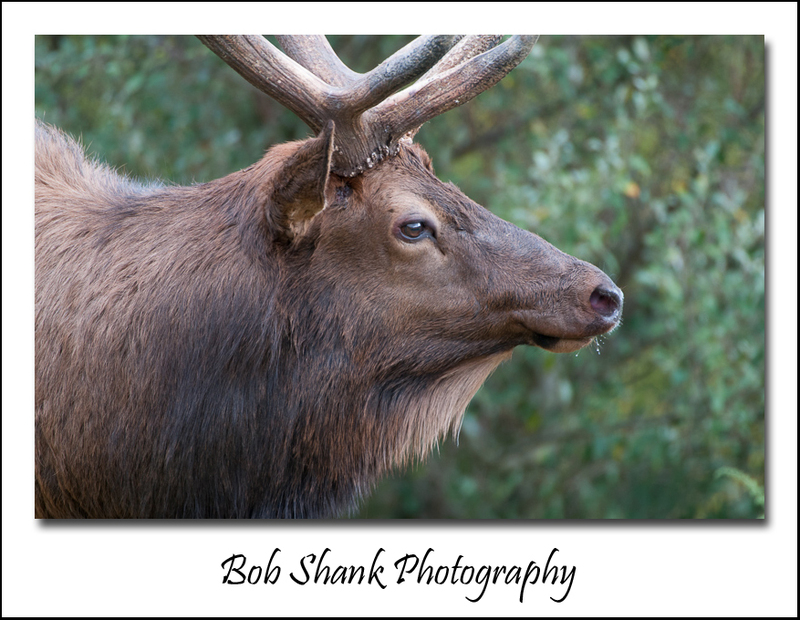 He is big but this is a different perspective from how I typically photograph these majestic animals. 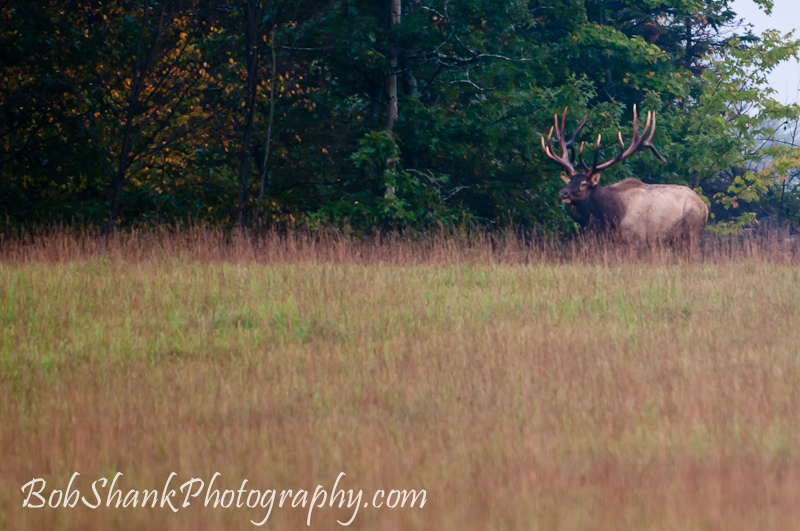 This perspective takes in more of the surrounding environment where this bull roams. The foreground features a field of grass, which is turning to brown in the late fall when this photograph was captured. The background shows trees with just a hint of the changing color coming to the leaves. The bull seems to be overshadowed by these surrounding elements and yet he appears to be just coming onto this scene. 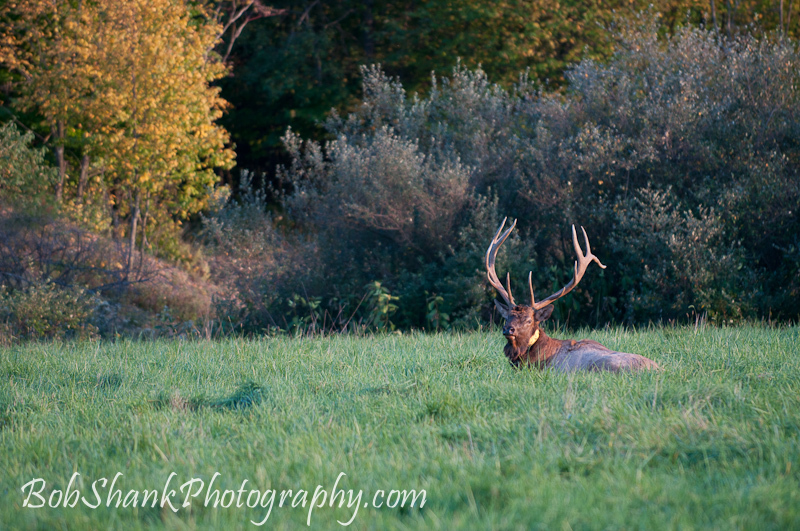 His majestic antlers are reflecting some of the light and they are huge! What do you think of this different perspective? 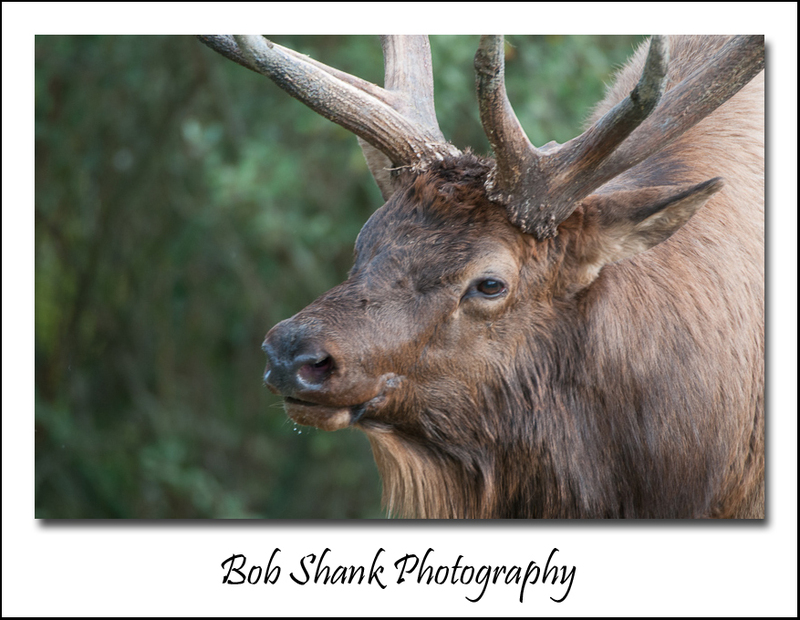 I came across this bull elk after quite a hike. I heard some bulls bugling and did locate two of the three I heard, but it was far too thick with trees to capture any decent photographs. Somewhat rejected, I returned to a field I visited earlier in the afternoon. I was surprised to find two cows and this bull out in the field! 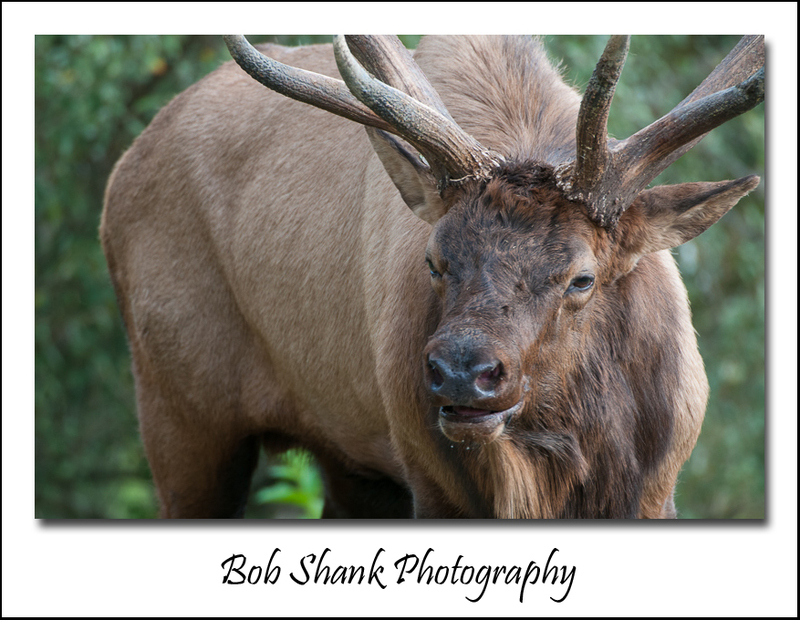 Elk can sometimes be predictable while other times they are completely unpredictable! 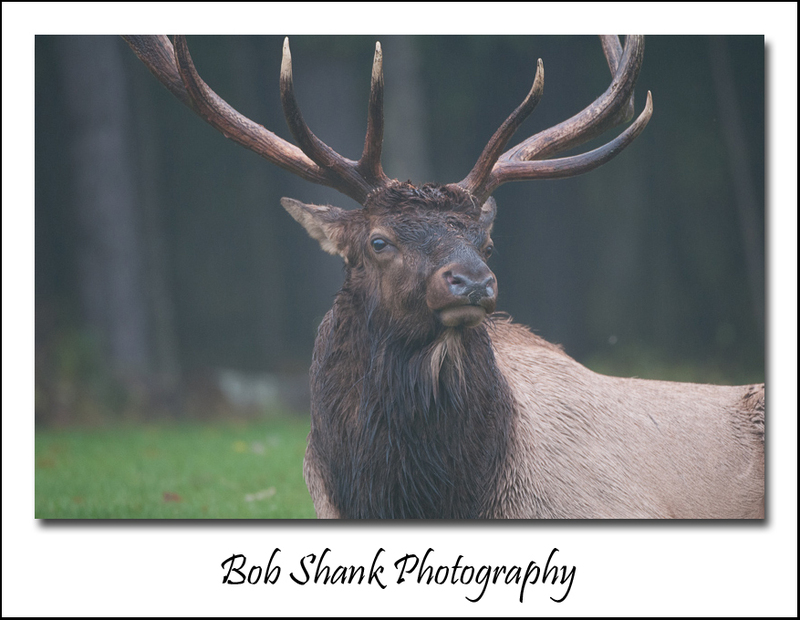 I was below this bull and set up my tripod carefully, hoping not to alarm or scare this guy. He just kept looking at me and studying every move. I was slow and deliberate and was able to capture this photograph and quite a few more. Eventually, he slowly stood up, reassessed his surroundings, and moseyed up the hill into the woods. Amazing! These mammals are absolutely amazing! This photograph provides some perspective. 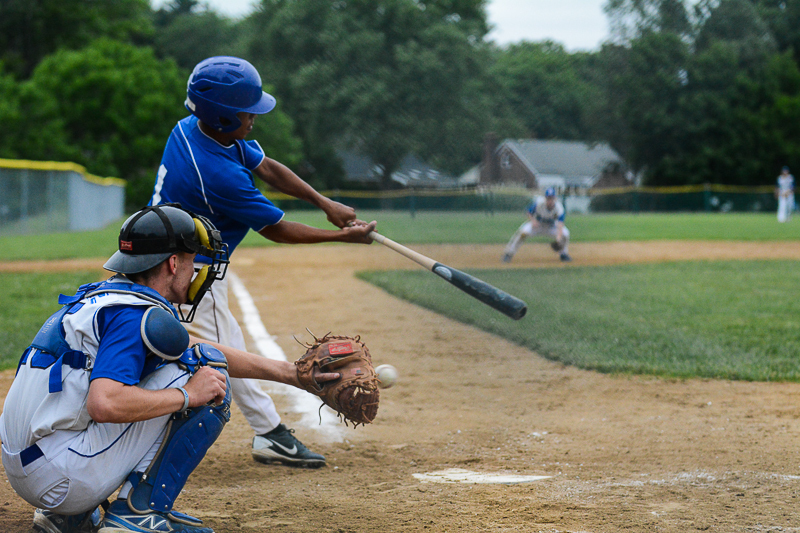 It shows where on the diamond this play is taking place: home plate. 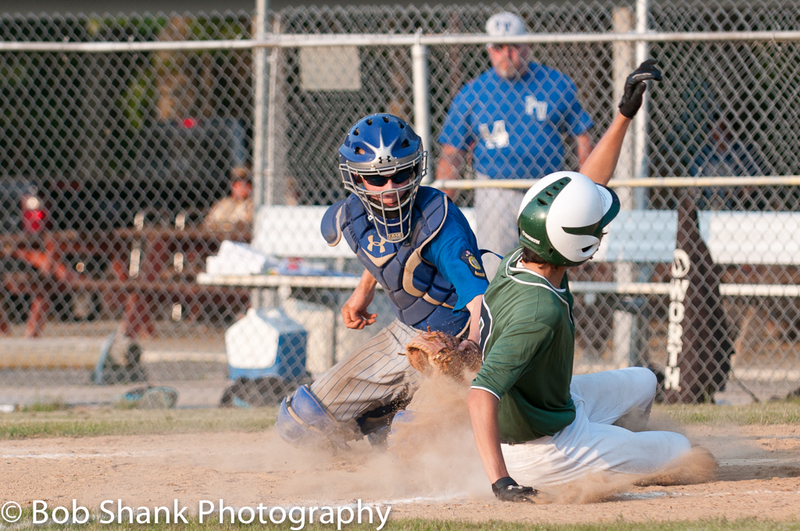 There is no doubt where this is happening and it clearly provides information to the view about exactly what is happening: the catcher is tagging out a base runner at the plate. Perspective helps in many ways. Without perspective I cannot tell a lot about where a photograph is taken. In life, without some perspective, I could jump to wrong conclusions or make assumptions that in the end prove to be incorrect. Perspective keeps me grounded and provides an anchor of sorts to keep me from sailing into choppy and dangerously uncharted waters. Yes, I definitely want to have more than a little perspective! Don’t you? In light of the news coming out of Penn State University, I think many reporters, talk show hosts, and sports fans have lost a little perspective. Do not misinterpret me here. I know how heinous and despicable these allegations are and they are absolutely awful. No doubt about it. If my child was violated in this way I would be beyond angry. The question in my mind comes down to what exactly did Joe Paterno know? If he knew all the details and only passed word about it up the chain of command, then he should be held accountable morally. Time will reveal the truth. So far we do know, that as far as Pennsylvania authorities reported, they are not charging Paterno of any crime. The moral question is a different matter. What should have Paterno done? Remember, this was ten years ago, too. What would have you done? Are you convinced you would have acted this way? Do you ever look the other way? What if the violator was a close friend? What if he was in a position of authority over you? Would this ever make a difference? At least a little perspective is always needed. Matt Millen was quoted as saying, “The last time I checked we live in America where we are innocent until proven guilty.” Not only are many talk show hosts, reporters, and sports pundits already crucifying Sandusky, but they are making Joe Paterno sounding as bad or worse! Is this the right perspective? Perspective teaches us that there is a bigger picture than many of us realize most of the time. As a visual example, look at this photograph. What is this? 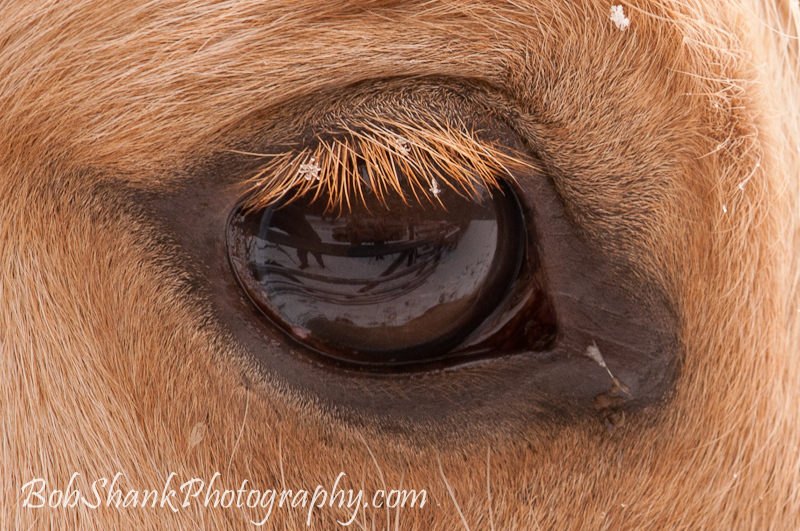 Okay, yeah, it’s an animal’s eye. What kind of eye? Whose eye? When we focus too closely on something or too long on something, we lose perspective. Lose perspective and we can’t see all the details clearly and we certainly cannot see the big picture. Tonight, the Board of Trustees made the decision to fire both Coach Paterno and the president of the university. Did they listen to the media frenzy before making their decision? According to them, they did not. I wonder about this, but I can see this decision being based on good business sense for the university. Certainly responsibility and accountability need to be placed in the appropriate places. There is no doubt about this. However, what do we know? Do we have all the facts? Do we have enough facts? The Board of Trustees did not give a specific reason for the firing of Coach Paterno. I find this interesting even though I can understand their difficult position and their ultimate decisions. Sandusky will be held accountable by a court of law. Coach Paterno appears to be held accountable to popular opinion and the Board of Trusteees. This is a sad week in the world of sports. Sad for the victims who suffered these awful acts. Sad for those who their parents, too. Sad for a football team that had nothing to do with these allegations. Sad for students who look up to coaches and adults. Sad for a coach who left an indelible legacy and devoted his life to coaching college football. Yes, it’s a sad week for many, many reason.